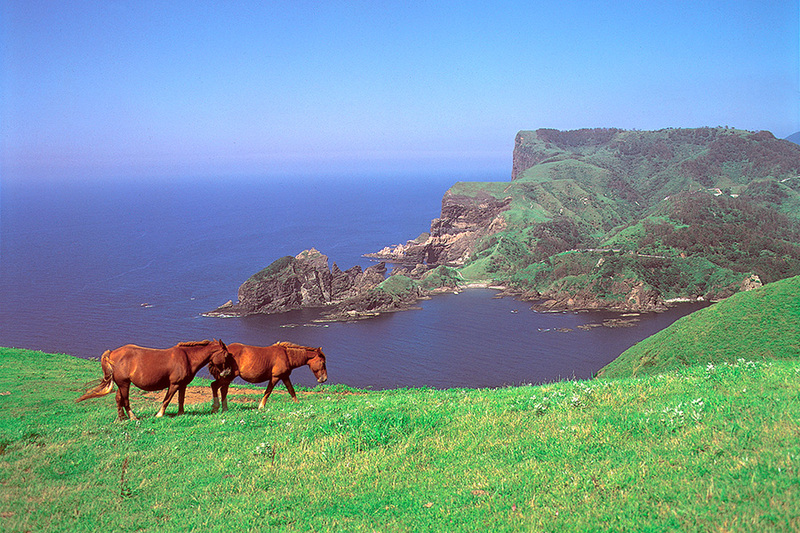 This is a leading dynamic scenic spot of Oki. The large cliffs and strangely shaped rocks (e.g. 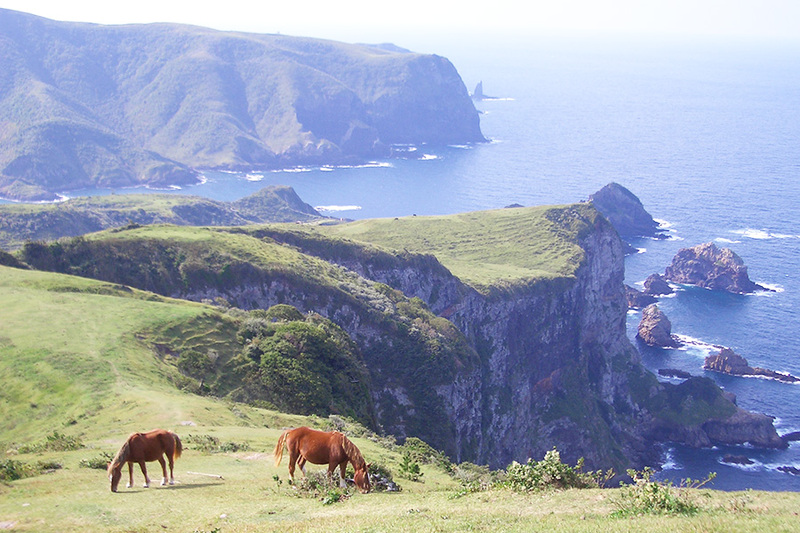 the arched Tsutenbashi and Maten Cliff) rise steeply to overwhelm you with the beautiful form of nature. The heart of Kuniga is most definitely Maten Cliff. This is a cliff that rises up vertically to a height of 257 m from the sea level. 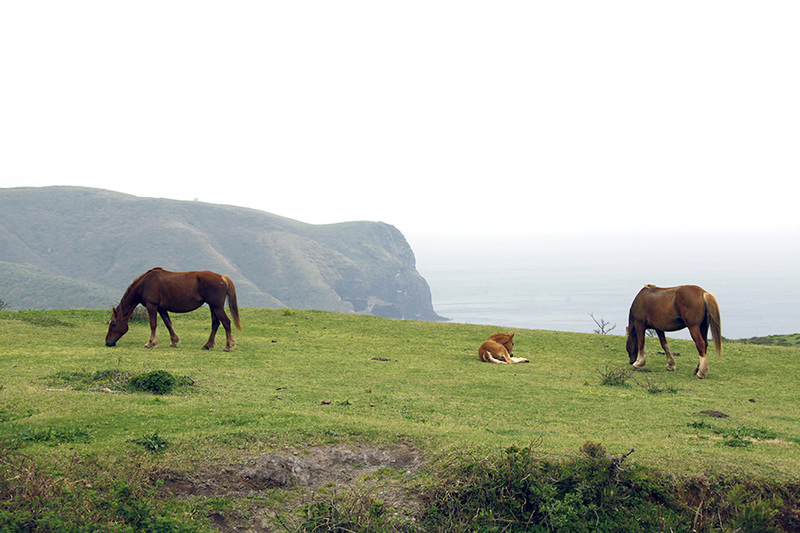 Cows and horses graze on this hill. Their relaxed mood contrasts with the great scenery. The nature viewed from the sea on a pleasure boat that tours around the rock suspension bridge Tsutenbashi and Akekure Cavern is truly a magnificent view.